As a busy mom, "me" time is precious. While some friends spend luxurious time at a spa, weekend getaway or some incredible adventure, my "me" time is a good run and an uninterrupted shower. The running part can leave me more tired than I started, but I know the minutes on the treadmill are good for my health. By the time that I head home, I am ready for hot water and deep relaxation. Even if my shower is just 5 minutes, I want those fleeting minutes to leave me totally refreshed. With the new Dial Miracle Oil, even the quickest shower can feel like ultimate pampering. Dial has introduced a new body wash, Dial Miracle Oil Body Wash. This restoring body wash is infused with Marula Oil. Various oils have become a trend in hair care and cosmetics. This new body wash by Dial incorporates the Marula Oil through new Mirco Oil Technology. The result is a rich lather that rinses clean. For me, the Dial Miracle Oil makes even the shortest shower a moment of zen. The luxurious lather soothes away the aches and pains from my daily workout. From head to toe, the tired and tight slip away to relaxed and renewed. More importantly, my skin is left soft, fresh and smooth. I am ready to plunge into the days tasks. Dial Miracle Oil works well in our household. In addition to my post-workout showers, my kids enjoy using the body wash after their swim practices. Chlorine can wreck havoc on the kids bodies, leaving their skin dry and sometimes irritated. The Dial Miracle Oil leaves their skin smooth and refreshed. Dial Miracle Oil is available at major retailers where other Dial products are sold. Would you like to try Dial Miracle Oil for yourself? Please use the Rafflecopter to enter. 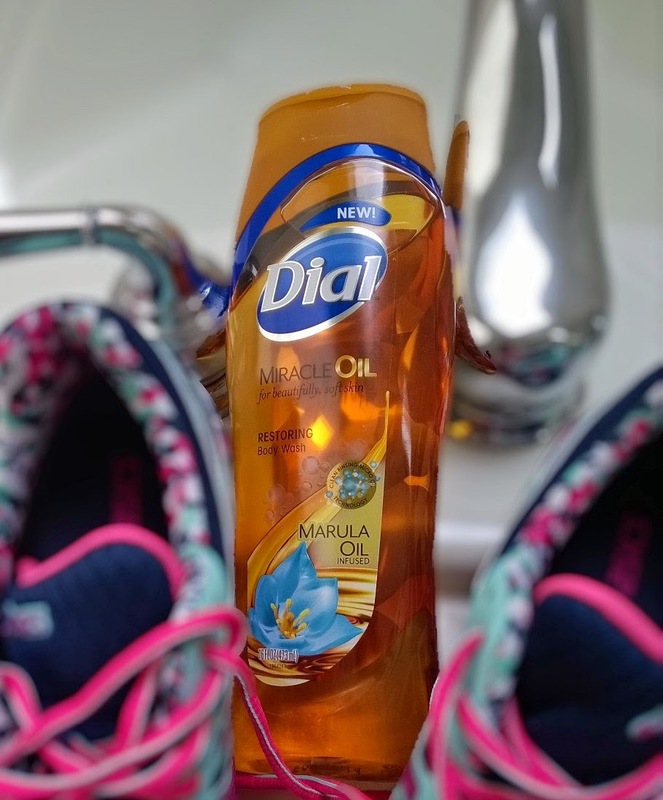 Disclosure: The Dial Brand provided me with a sample of Dial Miracle Oil Body Wash in exchange for a product review. However, all the opinions expressed here are my own. Ooh this would be great for summer and keeping skin nourished!